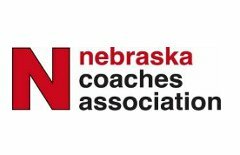 The Nebraska Coaches Association has partnered with the Country Inn & Suites, Lincoln North to offer a special rate for all members traveling to Lincoln on personal travel or business travel without a team. We are pleased to provide this special rate for NCA members' personal travel. Keep in mind that this rate is subject to availability and is not valid during Nebraska football home games. This rate is available for stays from January 16, 2017 until January 31, 2020.